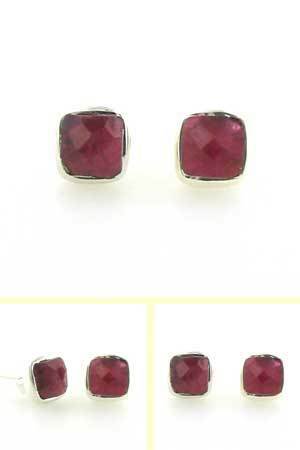 Faceted ruby stud earrings set in sterling silver. 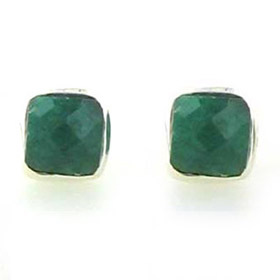 Stylish, elegant and classic in design, these square stud earrings will quickly become favourites. The rubies used in these earrings are included and opaque, obviously not the quality used for the finest ruby jewellery but nevertheless genuine ruby in the characteristic, beautiful cerise pink colour. 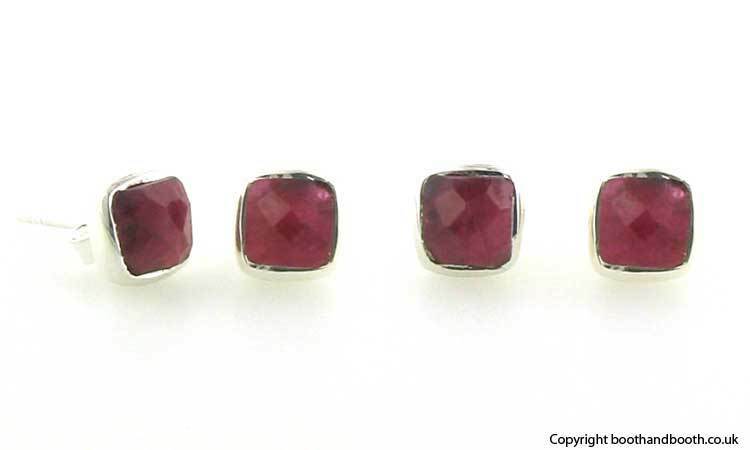 These ruby earrings are great with our ruby pendant Meryl.